First he's doing Ballet flats with Repetto, then he's teaming up with Doc Martens and now it's pearls with Mikimoto. 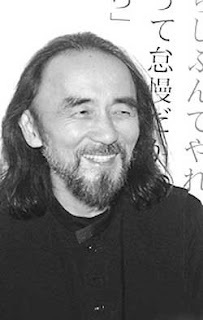 Focus Yohji, focus! ....Yamamoto and the Japanese jewelry brand have announced plans for a project set to debut this autumn, when they will align their talents to create an unprecedented series of fine jewelry collections. The designer, now in his 35th year of revolutionizing the way women dress, will apply his creative vision to Mikimoto, a leading purveyor of the world’s most luxurious pearls for 114 years. The collection of 20 pieces, comprising three groups, will range in price from approximately US$2,500 to US$150,000 and include necklaces, pendants, earrings, rings, and bracelets. Starting in November 2007, the distribution will be limited to the Yohji Yamamoto and the 19 freestanding Mikimoto stores worldwide, as well as select points of sales in the United States. In 2008, the distribution will be expanded in Europe and Asia.